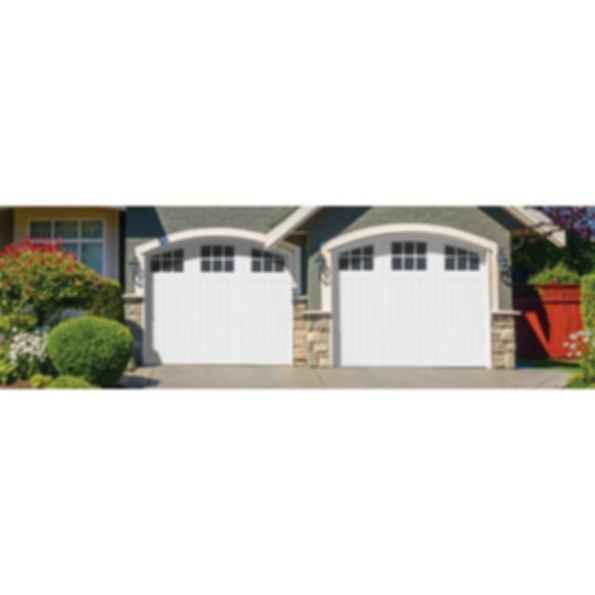 The Benchmark 2 Series delivers a low maintenance and energy efficient overhead garage door with the simulated look of a carriage house style door. Benchmark 2 is made with an industry leader composite wood product that stands up to tough weather. Low maintenance EXTIRA brand face that performs better than wood or MDO and is naturally moisture, weather, insect, and rot resistant. High performance urethane insulation with an R rating of 9.1. Simulated divided lite windows with exterior grilles. Factory primed for easy finishing. We use the best garage door materials in the industry, whether hardwood, vinyl or composite, as well as finishes and workmanship that deliver lasting beauty and performance.